Mother Nature has not been kind this season and one thing we might forget is that this mean weather even takes a toll on our locks. But Winter doesn’t totally have to be our enemy, with the proper TLC our hair can withstand even the snowiest and coldest of days! Taking care of you hair should be something that is apart of your daily routine and at Nicole Marie Salon, we want to make it as easy on you as possible! Here are some of our tips for getting and keeping that hair everyone wants! Nourished shiny hair is what is in. You can keep changing your color but if it lacks shine, nourishment and elasticity, there’s no point. There is no color that looks good on fried, dried out, lifeless hair! It starts with good, quality shampoo. First, find out what specific needs your tresses are looking for, whether it be volume, moisture, repair or color. Don’t worry you do not have to commit to just one, there is no harm in switching it up. Depending on the weather or color of your hair, it may need different things at different times. You will want a shampoo that will cleanse but won’t strip you hair of its natural oils and moisture. How often you wash your hair depends on your texture and type. If you can go a day or two without washing your hair, then go for it! Also, you can always try a dry shampoo to refresh your hair and soak up the oils between washes. Now, lets talk about shampoo’s bestie. Conditioner. It is so important to condition your hair! And again, picking the right kind for your hair type is vital. Conditioner does not discriminate either, there is a kind for every hair type and everyone needs . Even the fine haired ladies need not worry, there is something out there for you that will not weigh your hair down. Do not apply heavily to your roots, it’s mainly your mid-shaft and ends that needs that extra moisture. Masques and in-salon treatments are also a great way to keep your hair lookin fab! The hair care does not stop after you wash! You always need to use a protectant on your hair especially when blow drying and heat styling. 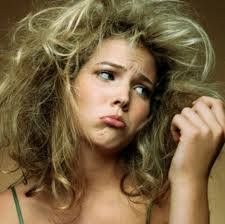 Unprotected heat abuse is the number one cause of breakage and damaged hair. Again, there are so many options and different things to use to protect your hair! The trends for hair styles today are endless, so don’t always feel like you need to blow dry and straighten or curl. Boho braids, twists, top knots are just a few things you can do to give your hair a break from the heat. Don’t be afraid to let your natural locks flow and let your hair down! Now that you know the key tips in hair care, take the time needed and make it apart of your day! Just like you wash your face or brush your teeth, it just takes a few minutes to wash and protect your hair. Hair is our number one priority and we want to make sure that you are doing what is best for it, so visit us for any recommendations, advice or the products you need to get on the hair health train! At Nicole Marie Salon, we want you to love your hair and feel beautiful! !